Is your printer running up a costly tab of lost work hours and sporadic repair bills? We'll find the best printer for your needs, boost productivity and slash repair costs. Central Office Systems sells the perfect printers and has the best printer leases for small businesses, large offices, commercial printers, graphic designers, creative agencies, law offices, direct mailers, churches and many other organizations. No matter where you print, the right equipment can improve printing flexibility and security, increase your printing capabilities and reduce overhead and waste with easy-to-use cutting-edge offset and digital print technology. 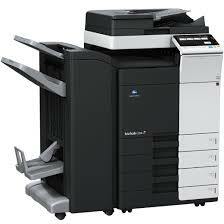 We have Wisconsin's best document imaging systems and lowest prices.